First time parents - First baby girl. 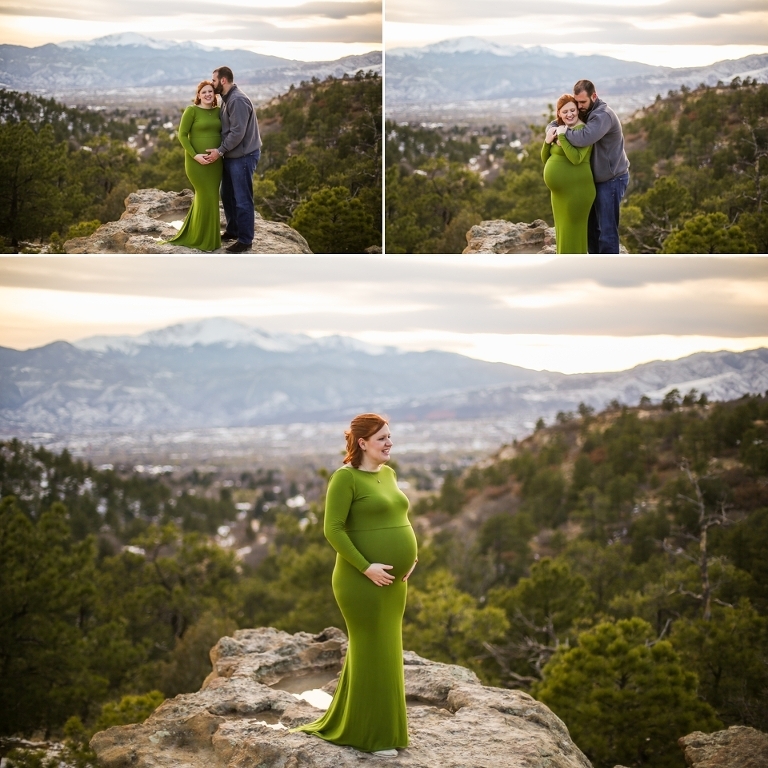 As a Colorado Springs newborn photographer I have seen many parents welcome their first children. Not that subsequent children aren't exciting, but there is something different about welcoming your first. You are entering this unknown territory and can't wait to see what you will be like as parents. This beautiful first time couple learned they were expecting their first child shortly after they came back from their honeymoon. Talk about a great wedding present! From the moment they found out they were thrilled. They contacted me shortly after to book sessions for pregnancy reveal, maternity, birth and newborn. They wanted to make sure their whole journey to parenthood was captured perfectly. It was such a joy to work with this couple, and this beautiful red hair woman looked amazing in the green dress she chose. It was a gorgeous evening and the wind was every so slightly blowing. 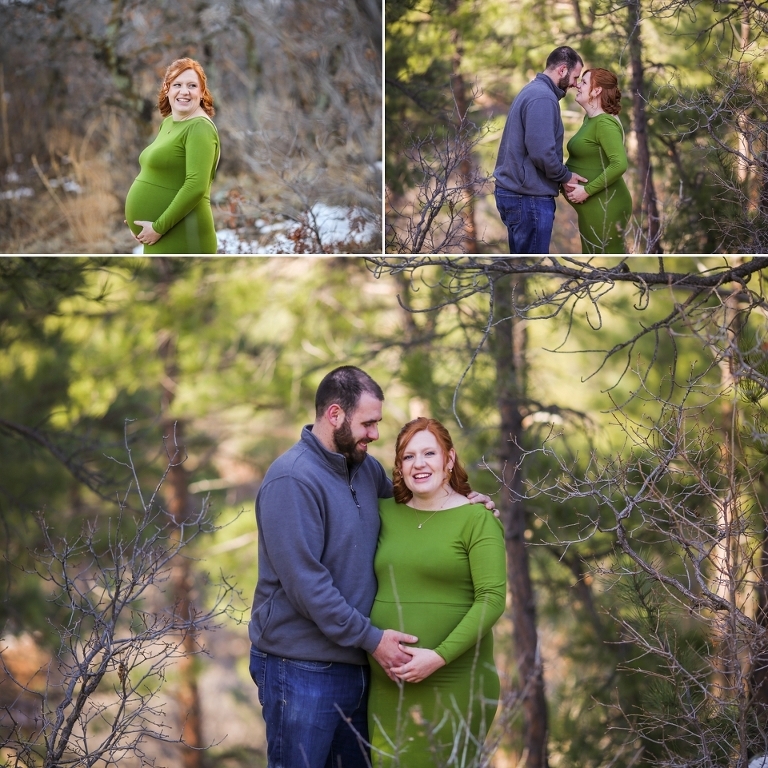 We talked about their upcoming birth photography and newborn photography and we couldn't wait to see if their sweet baby had red hair like her mama (spoiler alert-she definitely did not!). They were dreaming about the day they would welcome their baby and how their labor/delivery would go. It was so exciting. 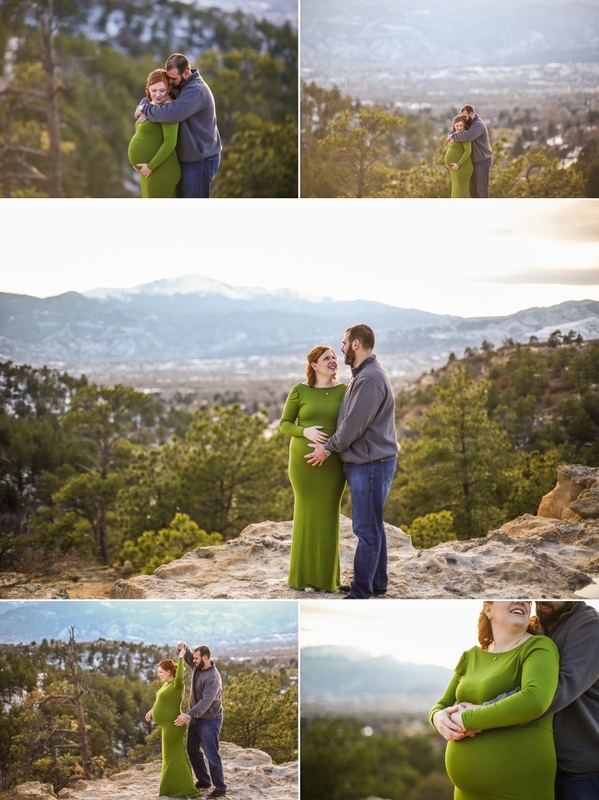 We ended the evening with some beautiful maternity photos with the rocky mountains in the background. It was all around a perfect maternity session.